Welcome to the work of Dundee Chaplains - look out for Street and Club Chaplains who are here to help you have a great night out! 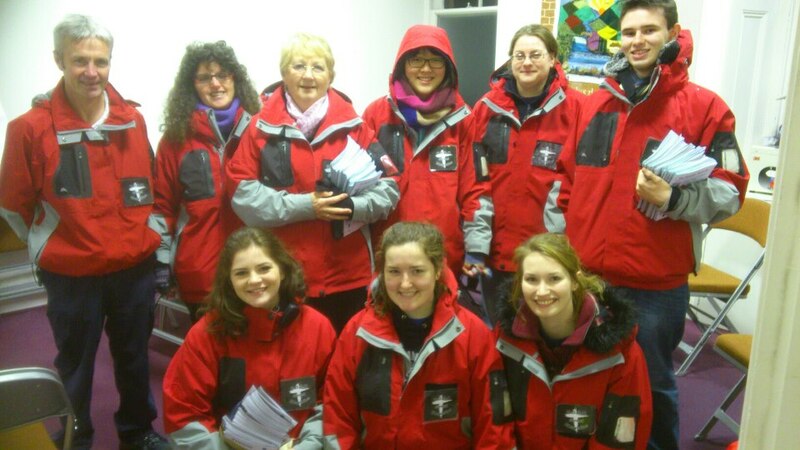 Our teams on the streets wear distinctive red jackets with "Street Chaplains" on the back. Our teams in the clubs wear black t-shirts saying "chat, help, listen, care" which is a fairly good description of what our amazing volunteers do! Follow us on Facebook or Twitter to keep up to date with news, prayer needs, happenings on the streets and in the clubs, etc. it will be great to connect with you! Want to set up Street or Club Chaplains in your community - contact us!